Hi All - just wanted to say hi as i'm new to the forum and wanted to ask if you've ever heard of using cashabcker to play bingo - my mate said they can save me money but not sure. any thoughts? Hi ggambler Welcome to BPU. I'm not sure what you mean by cashabcker. Are you refering to bingo sites that give out cash backs to their depositing players? Can you give me a bit more detail? I reviewed the site. It's a Affiliates site that advertises gambling portals. They are using the cashback gimmick to attract players. This is nothing new, because there are sites that offer cash back to their players. I see they have 11 bingo sites, that they advertise. The 3 US Bingo Sites, Bigtime Bingo, Bingo Palace and Online Bingo, are all owned by the owner of Bingo Vega, Mike Yates. He was caught rigging casino and bingo games, as well as tournaments. It's all revealed here in our forum. I would beware playing at any of their sites. Also Bingo Sky has a history of being a dishonest place to play. Sorry, but I can't offer any info on the rest of the sites, because I have no experience with them. I hope you find this information useful. Hi guys, i've just come across this post and would hate to think that we're promoting unscrupulous merchants. We're trying to give as much back to the community as possible and if there's any way we can get involved and help then we're on your side. We've added several other bingo merchants to the site since your above posts, and will look into the three US sites immediately. Also you mention "Bingo Sky", I assume you aren't referring to "Sky Bingo" who we also promote? Hi Paul welcome to BPU. Like yourself, I also am a affiliate! 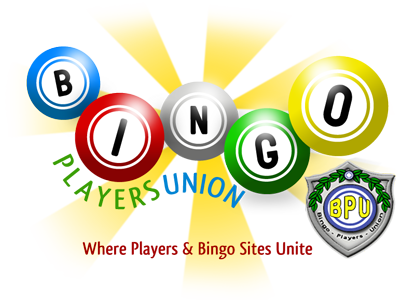 We have been involved with the Online Bingo Industry since 2005. In that time we have learned a lot about how many Bingo Sites Operators cheat their players. We have known for years that some operators rig their games, but never had any real proof of that, until some industry insiders came forth with documented proof. As much as I enjoy receiving Affiliate Payments, I could never promote any Bingo Site that I know for a fact is shady. If you check my banner promotions, you will see that the only US Bingo sites we promote is NewBingoBilly and Sites offered by Revenue Giants. Since we do have some UK Members and Readers I do promotes the JoyOfBingo Affiliate Sites. I'm not sure what you will dig up about Big Time Revenue, but I have a wealth of information about them that I would be happy to share with you. For one thing, all 3 sites they offer play the same game in the same room. Only difference is the wall paper they use. The 3 sites were secretly bought out by BingoVega/Casino owner Mike Yates. Ironically, I worked with Big Time Revenue, in the summer of 2011, to help them clean up the bad reputation of Bingo Vega; By paying off some old player complaints against them. The reason for this was Bingo Vega wanted to be added to the Big Time Revenue Program. At that time BigTime Revenue was trying to join the GPWA (Gambling Portal Webmasters Association) but could not because of their association with Bingo Vega. The GPWA asked us to work with BigTime to see if we could help them clean up Bingo Vega's name. BigTime was accepted into the GPWA in Nov of 2011. This gave them access to the 16,500 + members of the GPWA. Bingo Vega was to become part of BigTime Revenue after a lengthy probation period. Before the probation period was up proof that Bingo Vega's Owner was rigging the games. Needless to say they have not been added to the Bigtime program. I have been working in the background with the GPWA since Jan 2012 about the involvement that Bigtime has with Bingo Vega. A plan was made where Bigtime would audit Bingo Vega's past games and come up with an amount that the players were cheated out of. Bigtime claims that all the bad stuff happened before they became involved with Bingo Vega and they should be held blameless. As it stands today! The GPWA has dropped the ball on this issue and no longer communicating with us. It seems they are more concern with the sponsor fees Bigtime gives them, that getting to the truth of this matter. As far as I am concerned about the Honesty of the Sites in the Bigtime Revenue Program, the bottom line is this. No matter what they say, I have it on authority, that Owner Mike Yates is still actively involved with the day to day operations of Bingo Vega, BigTime Bingo, Bingo Palace and Online Bingo. I highly doubt he has given up rigging games and tournaments. I'm sure he has cut back on his illegal activities, but still engaged in their use. As long as Mike Yate's Family is involved with any bingo site, I for one will always question its honesty and will never refer any players there. If you need any more info contact me. On the topic of Bingo Sky, My mistake! Bingo Sky does have many complaints, but Sky Bingo enjoys a good reputation. we have tried to engage cashbacker in a discussion concerning the honesty of BingoPalace, Online Bingo and BigtimeBingo but they don't seem interested in accepting the truth about these rogue sites and continue to refer US Players to these sites. It seems that Cashbacker.com is more interested in the Affiliate Fees they are collecting from these sites, than the welfare of the players that come upon their site. This is shameful behavior and perhaps Cashbacker.com needs to stick with representing UK Bingo Sites and Stop representing unregulated US Bingo Sites. Its clear that Cashbacker.com knows very little of how unscrupulous these sites really are. As long as Cashbacker.com continues to refer US Players to BingoPalace, Online Bingo and BigtimeBingo, BingoPlayersUnion.com will continue to give Cashbacker.com a big thumbs down. Sorry to hear you are having problems with your cashout. They are usually pretty fast at this. If you like I would be happy to assist you in this matter. Email me at Admin@bingoplayersunion.com! Send me all the details and your player ID and I'll contact them on your behalf. We have a very good relationship with them and I'm sure we can get to the reason for the delay and get your funds to you. I received your email and contacted them on your behalf. I'm happy to report that Brenda received her cash out. Thanks Malci!